This article from Sunday's Wall Street Journal caught my attention so I thought I would share it with those who might be overly buoyant in their prognosis for the economy. Construction is currently booming in our city. We have as much or more work right now as we did during the middle of the dot com days. The majority of our customers, however, are in some way or another linked to the tech industry. 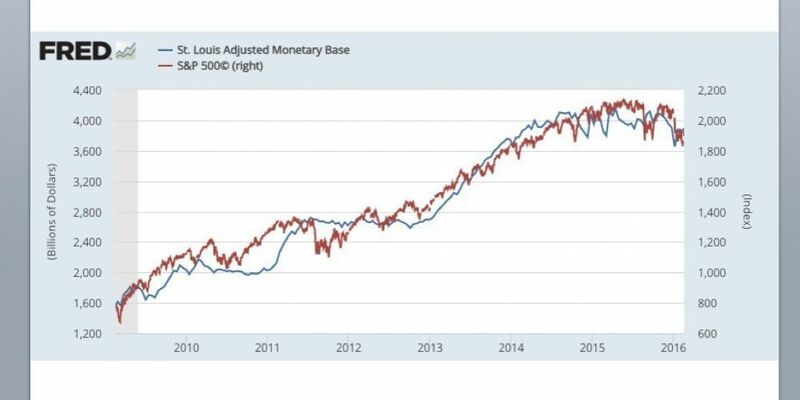 The first chart shows how money printing correlates with the stock market. Which may indicate the perceived/real scarcity of venture capital. There is nothing in the LEI chart to indicate a recession. 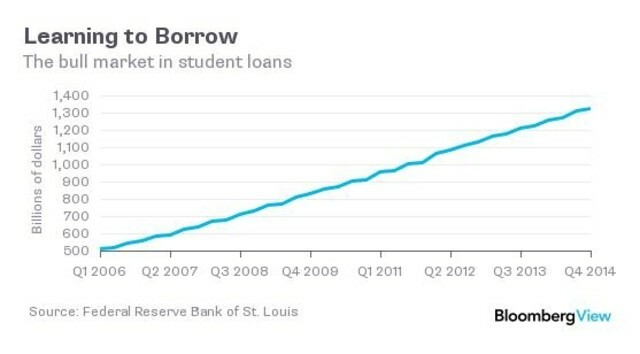 Keep in mind what happened in 2007 was because of loans made to people who could not service the loans, along with a few other things. The loans that are made today are not the same, they are made to people with very good credit. As I have state ad nauseum the basic problem is demographic. 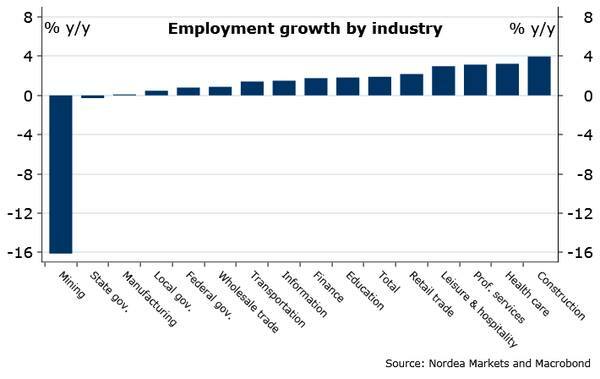 In about 4 years the economy is going to rocket ride. Not to say there will not be a recession between now and then. But it is not going to happen this year and when it does happen it will be mild. This article gives some insight. "Part II: Demographics are Now Improving, Projections"
"A decade ago it was obvious that demographics would be a drag on the economy. Even without the financial crisis, we would have expected a slowdown in growth. But now the prime working age population is growing again, and we can expect growth to pick up over the next decade. Here is a graph of the prime working age population (this is population, not the labor force) from 1948 through March 2015 - with projections from the Census Bureau through 2040." "In the '80s, the prime working age population was growing 2% or more per year. Over the last 10 years (March 2005 through March 2015), the prime working age population was mostly unchanged (up less than 1% for the decade)." "Going forward, the prime working age population will grow at a 0.5% to 1.0% annual rate (Census projections). This isn't the 2%+ per year of the 1980s, but it is still decent growth. Demographics are now improving in the U.S."
Various sources, this one is from the Census Bureau contained in the article. Admittedly I spend way too much time on this stuff. But I basically wanted to find out what happened in 2008. This article answers that question in less than a page. The next question is what will happen next, which I suppose is a fools errand. As this stuff tends to take your attention off of business. But it can be useful for planning, and investing. "it can be useful for planning, and investing." That is why I posted the link about Silicon Valley. Pat's optimism about demographics riding to the rescue is probably well founded but that only works if our customers read the same census data that he does. As anybody who has ever gone trout fishing can tell you, a simple pebble falling into the pond will make trout scatter. I read the Wall Street Journal cover to cover a couple of times a week. If you skip past the editorial page there is a lot of useful information. Last night I read about the Saudi's rationale behind not cutting oil production. 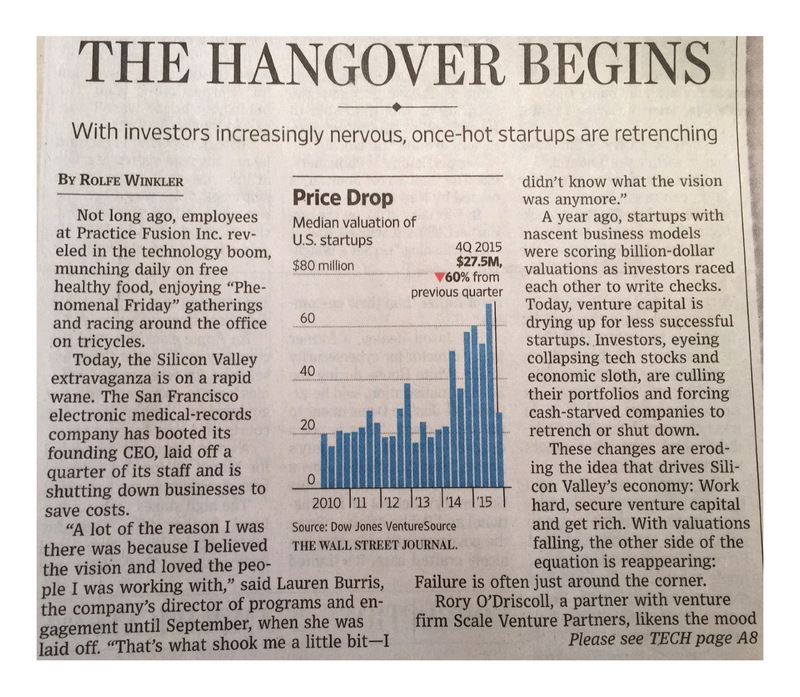 In many ways this parallels what happened during the last dot com boom. The oil industry could afford a lot of inefficiency when prices were high. Machinery salesmen could sell a lot of CNC routers when money was free to our customers. I take particular notice whenever a headline talks about things that affect tech workers because that's who my customers are. They themselves may not be suffering from potential layoffs but friends of their friends are. Another reason to read this stuff is because there are too many negative tropes that skew one's perspective to become a self fulfilling prophecy. Things are going to get better, not my opinion. Demographics are as close to facts, when it comes to economics, as there are. They can predict when potato chip sales are going to go up based off of demographics. Measuring demographics is pretty straightforward stuff. If you have a million ten year olds today it's pretty easy to predict you will have almost a million 20 years old ten years from now. How does the fact that the number of people in the prime working age is growing translate to the economy going on a "rocket ride"? Does resource availability or income distribution have any impact on how these dots are connected? A lot of other countries are having a surge in population growth. Does this mean the cabinetshop owners in those countries will have more customers to build things for? What exactly is the link between population growth and prosperity? Between the ages of 25 and 35 are when people make the biggest purchases. #1 being a house and having children. These are decisions that effect their life time spending habits. I can't disagree with you that most people "want" to buy a house between ages 25 & 35. 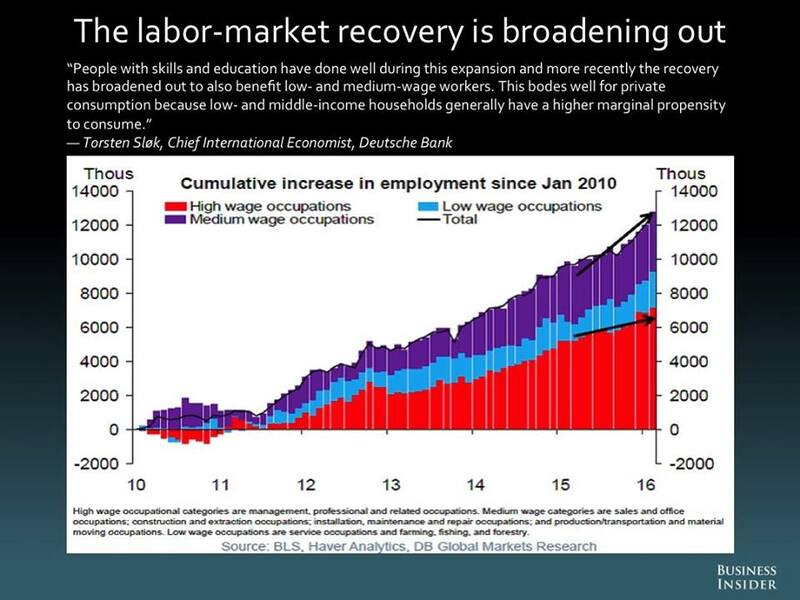 How does that translate into the employment and income levels required to sustain that "rocket ride"? Aspiration and implementation are quite different things altogether. Who do you think will own houses in the future? They buy cabinets... and minivans and preschool services etc etc etc. The corollary to this is what you see in Japan. At age 60 people quit buying except healthcare and motor homes. The economy ALWAYS expands in new directions. Look at what etnicites reproduce at a higher rate. That tells you some of the story. The domicile is always a top priority. Tax incentives add to this. I think Pat and cabmaker spend entirely too much time thinking big picture thoughts and not breathing sawdust. And I really appreciate sharing those thoughts! Just some historical perspective, which given our 'new global reality' might not count for anything - every presidential election has been accompanied by a construction slowdown, varying by region. The big debt gremlin in the US is in the Oil and Gas sector...nobody other industry has that much poorly secured debt. OK, mining. I think there will be a downturn in 2016 as uncertainty peaks in November, and then when we all know whats going to happen next, the phone will ring again. Being only one person, I'm a poor sample size, I know. I'd love to hear from others about their experiences. "Just some historical perspective, which given our 'new global reality' might not count for anything - every presidential election has been accompanied by a construction slowdown, varying by region." Got any backup on that or are we supposed to take your opinion as fact? "The big debt gremlin in the US is in the Oil and Gas sector...nobody other industry has that much poorly secured debt. OK, mining"
I do not have a crystal ball, but I don't have quite as rosy of an outlook as Pat, although I hope he is right! For one thing, the working age population may be increasing, but that does not necessarily translate into more work for cabinet makers if they do not buy homes. In my opinion, the biggest reason they would put off buying homes is not being able to afford them. It looks like inflation adjusted incomes are pretty much flat unless you are in the top ten percent or so. Meanwhile college debt is higher then ever. 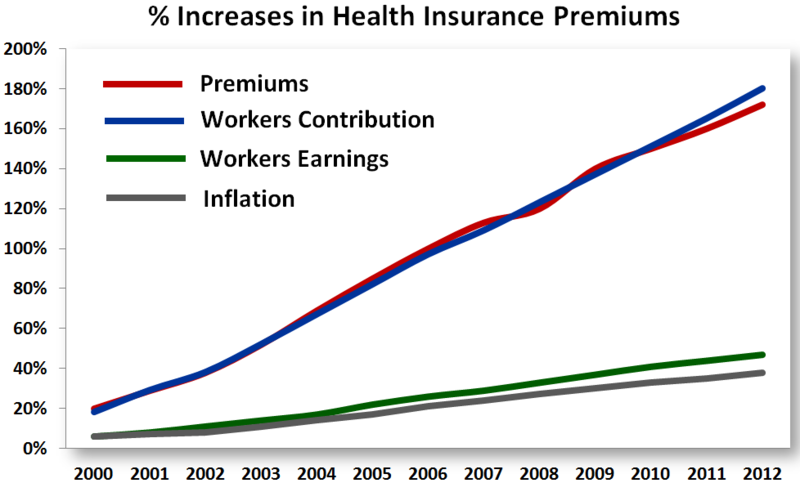 My personal healthcare premiums have more then doubled over the past 7 years, and I am now 29 with no major claims over that time frame. Our national debt is also a bit of a concern, and someone (taxpayers) is going to have to pay that price at some point, although the can could probably be kicked down the road a while longer. They will buy homes, first they have to marry and then have children the home buying will follow. Been happening like that for a long time. That is a concern regarding wages but when you look at how low the velocity of money has been it tells you that the demand has not been there that is a function of demographics. Your chart showing house hold income by quintile is not flesh and blood people it is a category. People move in and out of these quintiles, similar to a sports team that has a frequent change of players. As Jerry Seinfeld said when you think about it you are rooting for laundry as that is the only thing that stays the same. The reality of college debt is that most of it is owed by students getting graduate degrees and most able to pay it back. Healthcare costs go up as there is no price discovery. E.G. I went to the Dr the other day for a blood pressure problem I was suffering from because of talking to another millennial on this site. He would not take insurance of any kind, however he would take medicare. Point is that there is no price discovery with medicare. This drives the cost of healthcare up. Think $400.00 toilet seat. The debt is not really a concern because the government is never going to pay it back. The reason they can get away with this is because the Dollar is the reserve currency of the world. Regarding wage increases that is occurring now. 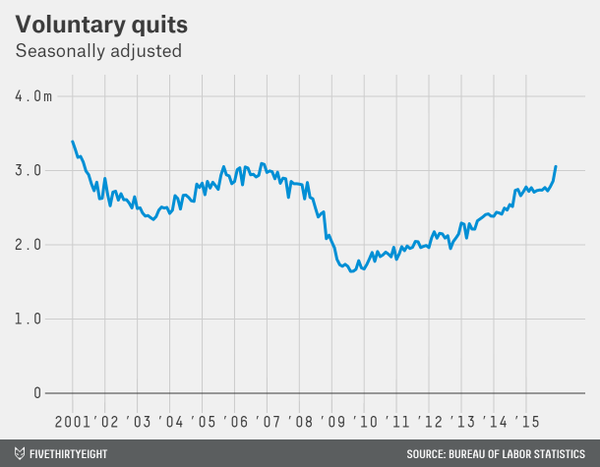 If you look at the JOLTS (Job Openings Labor Turnover) data it indicates people are voluntarily quitting for better paying jobs. See the graph. You probably read that even Walmart is raising the wages of their employees. The more basic problem with cabinet shops, after demographics, is that automation and offshoring has replaced the need for as many shops. However the ones that have survived will see an increase in demand. BTW I get a lot of this information from following the guy at the link. "Shipments per Establishment, Shipments per Employee and Shipments per $ of Payroll moved the other way. Shipments per Employee are the most conspicuous gain, improving by nearly 34% to $195,168 in annual revenue per employee, indicating significant productivity gains. This is the best I’ve seen in nearly 20 years of watching this particular measurement." Thank you for taking the time to respond Pat, I have learned a lot from your posts on here. I am laughing about your high blood pressure comment! Your thoughts and charts have given me more to think about, thanks.